Two new releases by modern masters of the acoustic guitar were transmitted to my magic listening box this week. Two very different releases by two very different artists – Australian maestro Bruce Mathiske and edgy NYC star Kaki King – both bound in approach by the warm wood of the acoustic guitar. Playing any acoustic instrument – guitar, horn, drums – sets up a resonance in the body of the player that creates a feedback loop between emotion and technique – often missing in amplified electric instruments. This loop comes closest to realising that old cliché of ‘becoming one’ with your guitar, allowing a greater range of dynamics and feeling. It just seems more ‘real’. The trade-off is that, since every sound you make on the guitar is there to be heard, there is nowhere to hide – your technique has to be seamless and perfect. And the trade-off there is that, too often, perfect technique leads to glassy, boring performances. In both Mathiske and King, we hear players that have come out the other side of perfection into that spiritual area usually reserved for the great jazz or classical virtuosi. Nothing is impossible for their heads, hearts and fingers, so their artistry is about cutting to the heart of the music – exploring the emotional side, the blue-black depths, the sunflower highs. 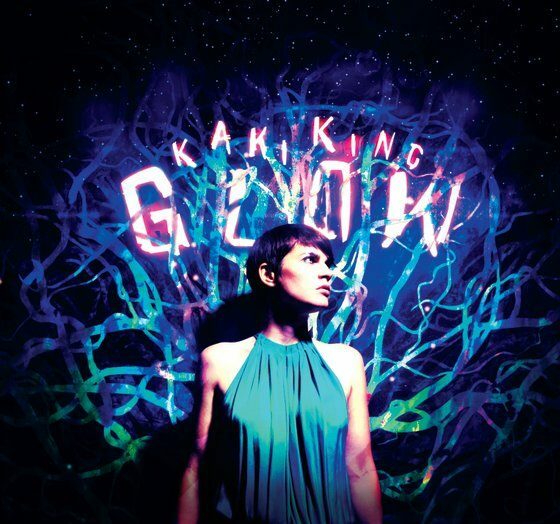 Bruce Mathiske’s new release My Life is as coolly measured and mature as Kaki King’s Glow is wild and bursting with anarchic juice. It is his seventeenth album and her sixth (not counting EPs). Mathiske’s songs are called ‘River Stories’ and ‘The Bridge’; King’s titles are as esoteric and literary as her music – ‘No True Masterpiece Will Ever Be Complete’ or ‘Skimming The Fractured Surface To A Place Of Endless Light’. Mathiske plays a masterful blend of flamenco and country fingerstyle on beautiful handmade guitars; King appears to attack anything with strings in any way her hands can get at it. Enough of the differences, now to the similarities which I find the most interesting in such diverse artists. The first is, quite obviously, the love of the acoustic guitar: in Mathiske’s hands a rounded, pearlescent gut-string flow, as strong and as translucently lovely as a river, whereas King goes at the thing, throwing off metallic spangles of sound. There is also a similar love of rhythm – Spanish, folk jigs and reels, some gypsy-jazz, Celtic. There is My Life’s Djangoesque ‘In Rhythm’ and Glow’s Celtic shred-fest ‘King Pizel’. Both artists really get those strings dancing. And of course there is the über-virtuosity – yes, even though these artists are beyond that as a means-in-itself, they just can’t help themselves. (Why put all those millions of hours of practice in if you can’t shred a little now and again?). A mesmerising flourish such as Mathiske’s on his gypsified Stones cover ‘Paint It, Black’ or King’s skipping guitar harmonics on ‘Holding The Severed Self’ make one really sit up and take notice. They are dazzling but also serve to stamp Mathiske and King’s authority on their respective albums. One big difference between both works is the production: but only different, not good, not bad, and in both cases entirely apt (almost) and vernacular to the sound-world each inhabits. 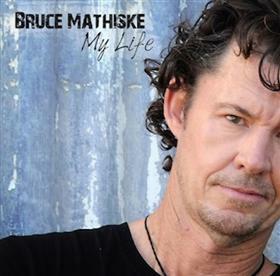 Bruce Mathiske’s self-production is lean and focused on the natural sounds of the guitar. Apart from some vocal and midi-strings (and one ill-advised slab of heavy cod-Floyd rock complete with howling Stratocaster on ‘The Close Call’), he has stuck to gut string guitars, some sinewy double bass from Phil Stack and Ben Edwards and percussion and conga from Calvin Welch and Paul Kirtley. And it all works beautifully. Glow is a whole different trip. Producer D James Goodwin has wrapped King’s “guitars and things” in almost cinematic clothes on every track. The focus here is less on the guitar and more on atmosphere and mood. And, again, it all works beautifully. Opener ‘Great Round Burn’ chugs with strings from orchestral ensemble ETHEL. ‘Bowen Island’ shimmers over an ocean of violet-turquise drone. ‘Holding The Severed Self’ skips along, whistling through the graveyard of reverbed ghosts in the background. It is gratifying to hear in Bruce Mathiske’s My Life and Kaki King’s Glow the past, present and future of virtuosic acoustic guitar music. Both have taken the instrument to areas previously unimagined and shown us all the excitement that can still be wrung from a what is pretty much a wooden box stretched with steel.